Mail to: 1805 NE Savannah Rd. The Post Members meet the 2nd Monday at 6:30 p.m. in the Al Pond Hall. 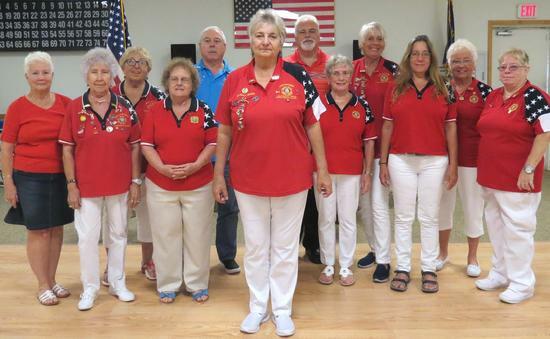 The VFW Auxiliary meets the 2nd Thursday at 6 p.m. in the Al Pond Hall. MOCA meets the 2nd Saturday at 12:01 p.m. in the Al Pond Hall. 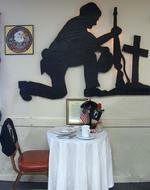 Maurice K. Langberg VFW Post 10066, Jensen Beach, FL - Serving the Veterans of Foreign Wars in Martin County, Fl. Military veterans and their spouses, sons and daughters are welcome to be a part of our Post. The letters "VFW" symbolize volunteerism and community service. The VFW mission is to "honor the dead by helping the living" through veterans' service, community service, national security and a strong national defense. For 119 years, the VFW has been serving America’s troops and veterans, protecting their rights and helping heroes in times of need. The VFW exists to ensure that our heroes receive the benefits they have earned and deserve. Help that meets the everyday needs of our troops and their families. When our troops are separated from their loved ones, we help connect them. When their homes are in danger of foreclosure, we’re there to assist. And the medical care of America’s finest is always on our mind. Our programs remind the millions of troops, veterans and family members that America is grateful for their service.